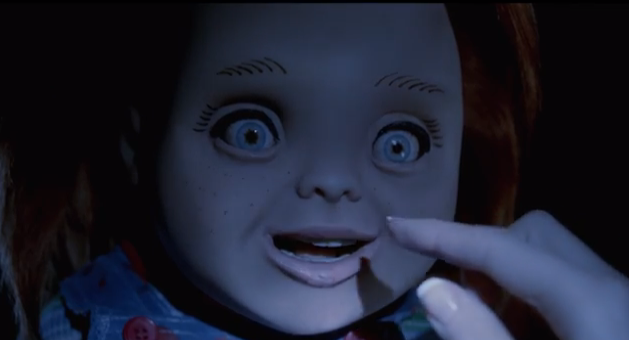 Anticipation Alert: Chucky To Return For A Seventh ‘Child’s Play’ Movie? One of the nicest surprises this year in the horror world was the beloved return of our favorite redheaded terror. Nope, not you Carrot Top. You’re terrifying in your own way though. 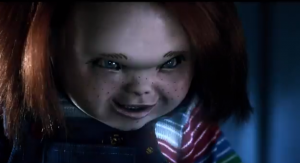 I’m talking about Chucky in what seemed to be his swan song, Curse Of Chucky. Going back to the horror roots with the sixth installment, writer and director Don Mancini delivered the goods, especially in the final 20 minutes which had more than enough in the twist department and ended with one final showdown scene between Chucky and Andy. But you know it’s just too good to be true for a horror franchise to actually end for good, right? Enter in Don Mancini as he broke news on Twitter that there will be a seventh Child’s Play film! No word yet on what exactly will take place, but he does elude to the fact that we’ll find out more about what happens to our heroine Alice from Curse Of Chucky. And maybe Jennifer Tilly along with her famous breasts and annoying voice will be back for a bigger role? As long as they stick with the true horror feel and keep the Three Stooges schtick out, I’m good with another sequel. I do have one small request though. 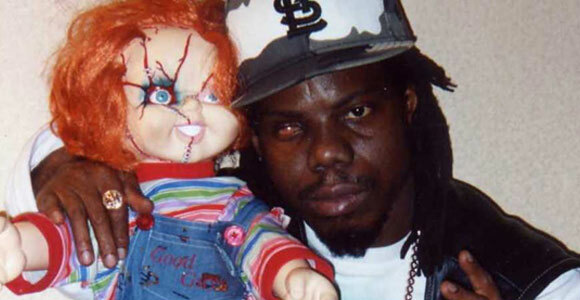 Can we get a cameo from Bushwick Bill of the Geto Boys since he was obsessed the Chuckster? Anticipation Alert: ‘Curse Of Chucky’ Trailer Is Here! 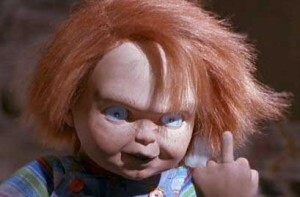 Let’s start with the good stuff: Chucky’s serious and evil again. Barely any comedic tone is evident, and in my eyes, that’s a good thing. It also looks like we could have some mean-spirited handicap killing too, which is only acceptable in a horror movie by the way. 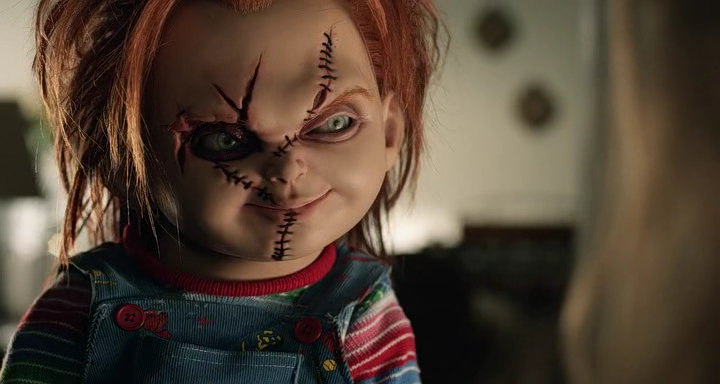 In addition to all of that, Brad Dourif is reprising his role as Chucky’s voice and Don Mancini, who wrote all of the previous Child’s Play movies, is writing again and directing as well! Now for the ‘elephant in the room’ bad part. Chucky looks weird in spots. Almost feminine to a certain extent, and it looks as though they’re going a little more digital with his facial movements, which would add to the weirdness. In due time, we’ll know whether or not this is moderately acceptable or downright distracting when it hits video on October 8th. For now though, if you’re a Child’s Play fan, you should be rejoicing that the goofy schtick seems to be gone, and the more serious/maniacal tone is back! Now if we could only get used to that new face.